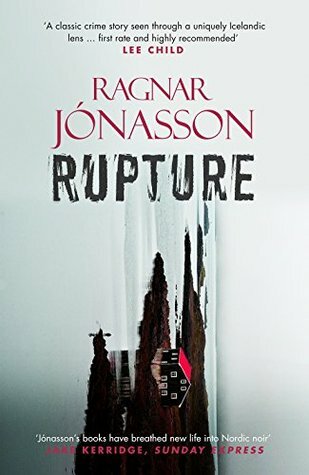 The Very Pink Notebook is thrilled to be part of Ragnar Jonasson's, Rupture, blog tour this week. With much thanks to Karen at Orenda Books for involving me in the tour and for a copy of the book. This book has been discussed wildly on social media, alongside comments that it is as brilliant as Ragnar Jonasson's previous deliveries. Well, this is the first of this author's novels I have read and the fact that other reviews are right, it is brilliant, gives a good indication his others will be too. This is one of those books that makes you feel like there is not quite enough oxygen in the room. 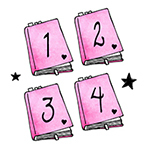 Jonasson creates a deeply atmospheric, almost claustrophobic environment for his characters. For Ari Thor, our protagonist, he is living in a town under the threat of a highly contagious killer virus, which is landed it in quarantine. This means as the local police officer, he has time on his hands and decides to use it to look into an old case of a mysterious death on an isolated fjord. The case Ari Thor realises, presents itself in similar surroundings to his current one. Its location is remote, unfriendly, unwelcoming to visitors, a little spooky. The inhabitants are alone, isolated and fighting a relentless and bitter winter. Then we have a second main character and concurrent storyline in Isrun, investigative television journalist, who has her own chilling cases in the present day on the go. Even so, she still finds time to assist Ari Thor, always wanting to keep police contacts on side and both storylines ultimately hold the same moral point. Jonasson's vivid imagery of Iceland and his ability to convey this through engaging all of your senses through his flawless, easy and elegant writing is one of the best parts about this book for me. Another brilliantly translated Nordic Noir offering from a very clever author.